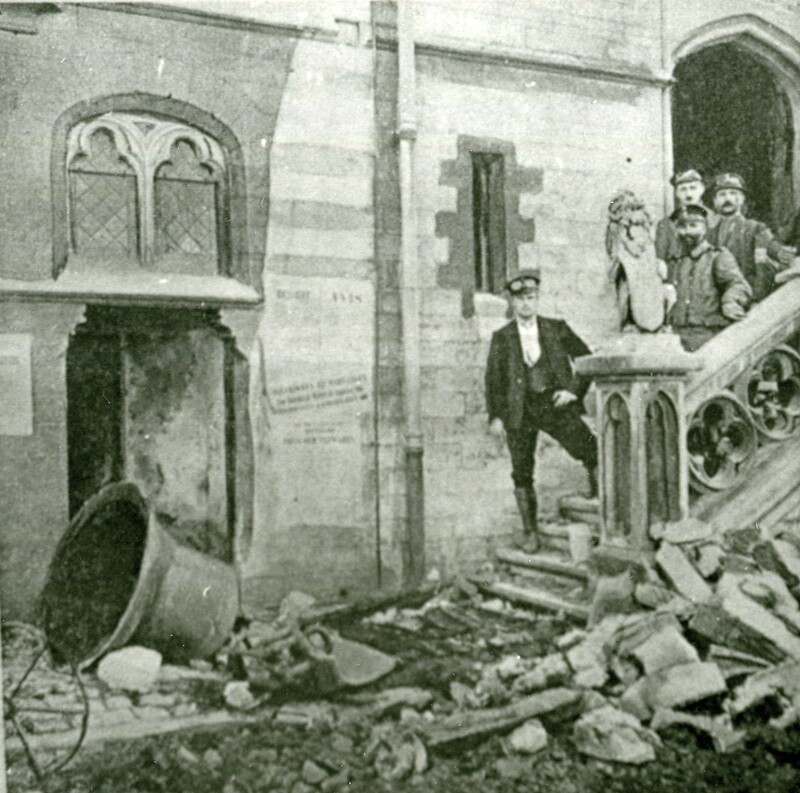 In September 1914, the town center of Dendermonde was heavily bombed by German artillery. On 18 September, the belfry was hit by a bombardment. 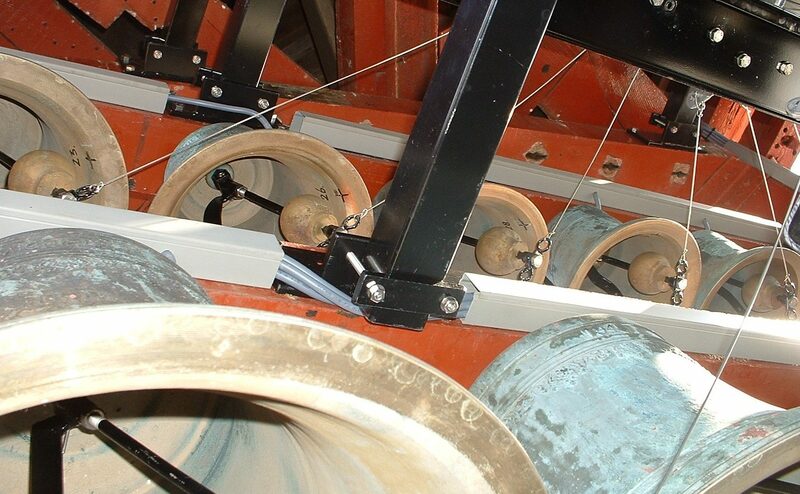 The bells of the 18th century Peter Vanden Gheyn carillon were destroyed or fell to the ground. In 1918 the fallen bourdon was requisitioned by the occupying forces. Only 15 of the 40 bells survived the war. Soon after the war, the city council intended to rebuild the city, the belfry and the carillon. In 1925, Omer Michaux cast 25 bells which were added to the surviving Vanden Gheyn bells to form a carillon of 40 bells. The instrument was not successful. 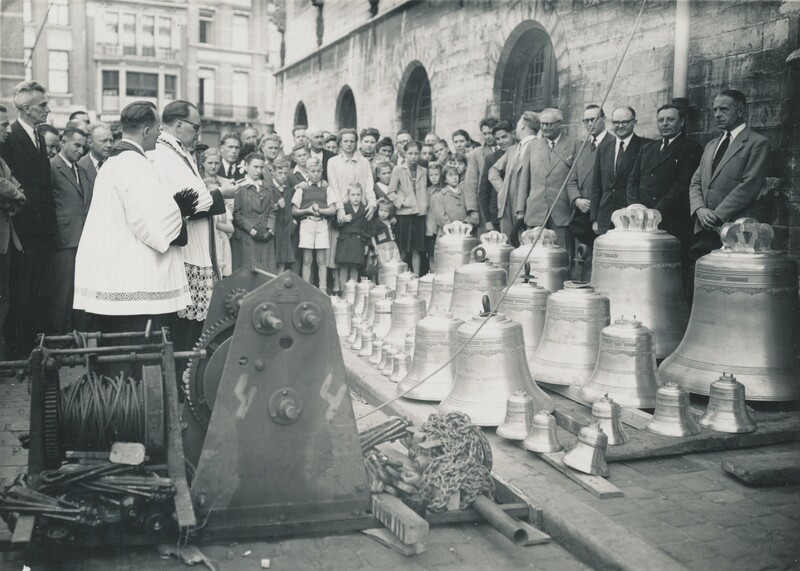 Carillonneur Jef Denyn compared the bells to ‘kettles’. 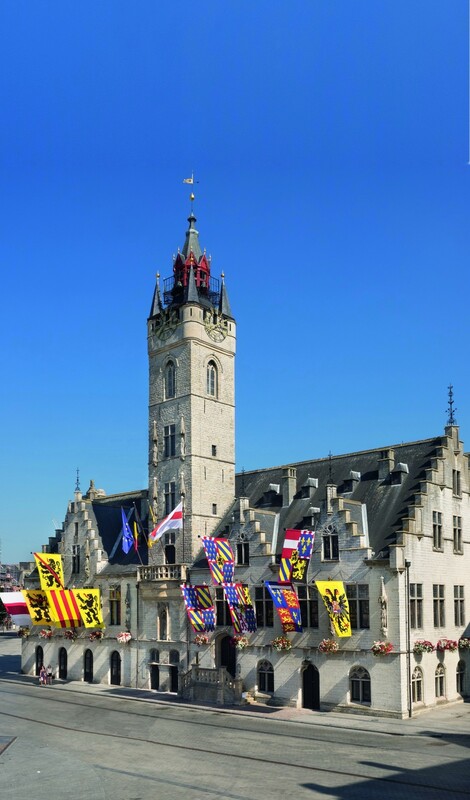 The Dendermonde carillon survived the Second World War, like nearly all carillons in Belgium. 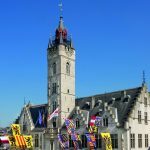 In 1946, the city council ordered a new carillon of 43 bells from Marcel Michiels in Tournai and provided the bronze of the existing carillon as material for the new instrument. Due to a huge delay, the instrument was only finished in 1950. 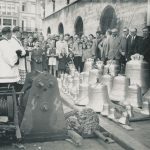 As compensation, Marcel Michiels cast five additional treble bells for free. The inscription on the bourdon refers to the two World Wars. The other bass bells bear the names of the patron saints of the city and of the reigning sovereigns. 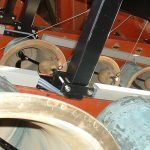 Due to corrosion of the bells, renovations by bell-foundry J. Sergeys in Leuven (1975), and by Clock-o-Matic from Holsbeek (2005) were needed. Since 2018, the tower has been accessible by the public on a regular basis. De beiaard werd vernield den 18 september 1914 door de Duitschers, hersteld in 1925.